Snowmobilers will see more state wardens on the northern Wisconsin trails following a rash of serious injury and fatal snowmobile accidents. They are beginning "Operation Safe Snow" says a Northwoods DNR law enforcement leader. Three recent fatalities in Iron county and two in Price county were widely reported, but Lt. Dave Walz of Woodruff says one death is too many in any snowmobile season - and so far Wisconsin has had five fatalities and as many injuries. "....just last night in Vilas county just before midnight an individual called after he hit a tree and broke his leg. So we've had a rash of those as well. As of the beginning of the week in Iron county we had three people go to the hospital and were still in intensive care...."
Walz says speed and being under the influence of intoxicants have been factors in the serious crashes so far in the early season. 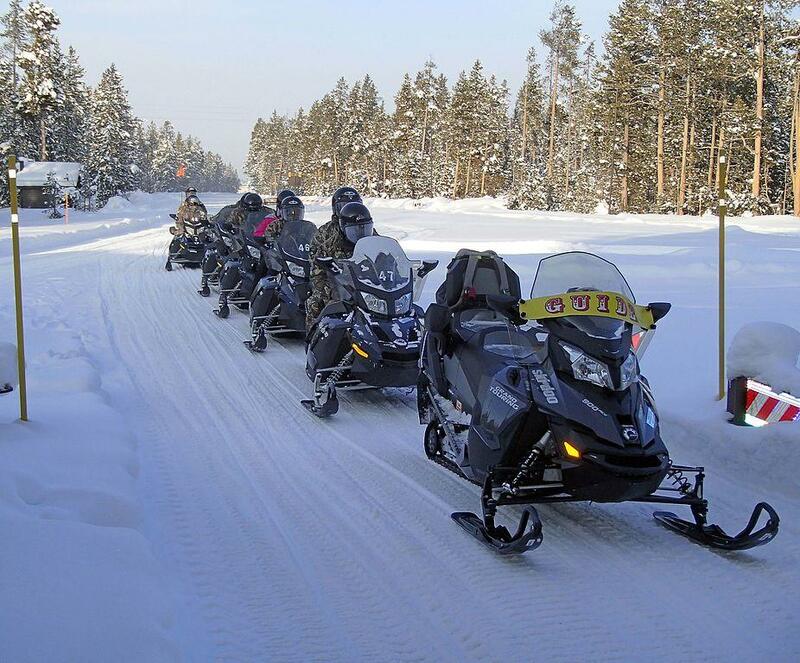 Data shows that seven of 10 snowmobile fatalities involved alcohol. He says enjoy beverages after you're done driving for the day, reduce speed, especially on corners and stick to the 55 mph speed limit, especially at night. "...we're going to get the wardens in the area to get out with a little more presence during the daytime and at night as well, when people are consuming alcohol. So we're more visible and hopefully people will slow down and think twice about drinking when they're out there operating...."
Walz says the increased patrols are likely to be seen for a few more weeks. One person died late Wednesday night near Milwaukee, and five others have been killed in the Northwoods, as the snowmobile season is fully underway. The latest report finds a 29 year old Port Washington man died on the Milwaukee River near Fredonia. A crash Saturday evening in Price county killed two people and three crashes in Iron county have claimed lives. One person has died in a town of Newbold snowmobile crash. The Oneida County Sheriff's Department reports they were called shortly before 11 a.m. by Vilas County after a report of a snowmobile crash near the Rustic Manor in St. Germain, on the Oneida-Vilas border.